This photo, from the Collier Collection, is reproduced by permission of the Museum of English Rural Life. 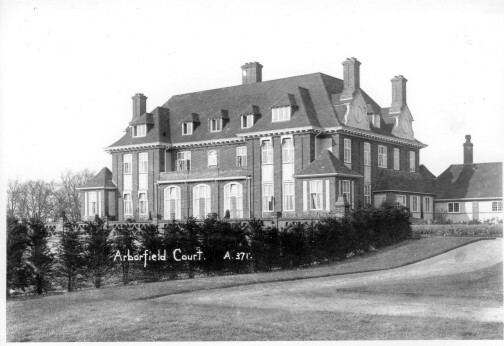 It is a view from the south of Arborfield Court, which was built in the early 1900's on a hill. When it was under construction, the builders found traces of Celtic pottery there. The building is now sub-divided into flats.